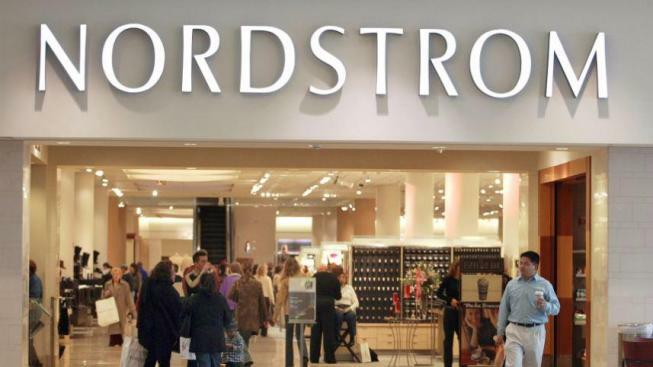 An estimated seven to 10 suspects on Monday swiped about 50 handbags believed to be worth over $100,000 from Nordstrom located at the Stanford Shopping Center in Palo Alto, according to police. Kris Sanchez reports. An estimated seven to 10 suspects on Monday swiped about 50 high-end handbags believed to be worth over $100,000 from Nordstrom located at the Stanford Shopping Center in Palo Alto, according to police. The thieves managed to slip into the store just before closing and cut the metal security cables that keep the Gucci handbags secured to display counters, according to police. The suspects then dashed out of the store and hopped into two getaway cars. Specific suspect or vehicle descriptions were not immediately available other than that one of the getaway vehicles was described as a Nissan Sentra and the other was either a Honda or Accord without a license plate, according to police. No arrests have been made in the case, according to police. One of the suspects did try to punch a loss prevention officer during the heist, according to police. An investigation is ongoing. Surveillance footage has yet to be released due to the investigation.